Alexander Blumrosen is a partner with the Paris law firm KAB Avocats, and is admitted to practice in both New York (from 1986) and Paris (since 1991), and specialized in international litigation and arbitration of business disputes, including all facets of international procedure related to the enforcement of court judgments and arbitration awards, cross-border discovery, and asset recovery. He regularly appears as counsel to parties, or as arbitrator, in institutional and ad hoc arbitrations in matters involving commercial contracts, joint ventures, franchise and distribution, trademark and patent disputes, and e-commerce disputes. 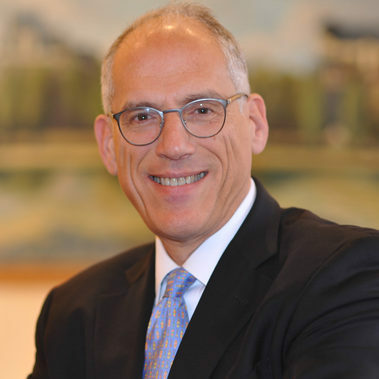 Mr. Blumrosen represents clients before French courts in all areas of commercial and corporate law, and also represents international clients involved in litigation before American courts. Mr. Blumrosen has particular experience regarding IT licensing, distribution, joint ventures and the regulation of encryption technology; advising on data privacy and security compliance, and acting for internet service providers in connection with intellectual property, antitrust, web-hosting and licensing disputes. He is a frequent speaker and author on arbitration and private international law matters, and regularly teaches arbitration law and practice at Mitchell Hamline School of Law (Dispute Resolution Institute). He is the former Chair of the Arbitration Committee of the American Bar Association, and former President of the International Technology Law Association (ITechLaw). He is a life member of the Council on Foreign Relations. Mr. Blumrosen is an American national based in Paris, and has law degrees from Georgetown University Law Center, and the University of Paris I (Panthéon-Sorbonne). He is fluent in English and French.